Vermont Timber Works, as the name implies, is a Vermont based business. It was founded in Vermont in 1987 and has operated from Vermont for all of the 30 years since its beginning. Our office and shop are located in Springfield, VT and it is from this location that we design, engineer, and fabricate all of our frames. 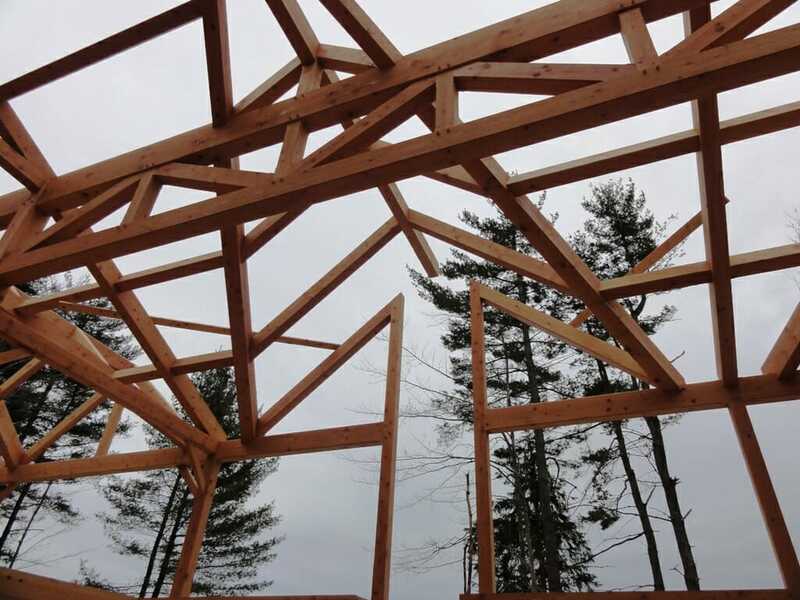 All of the Vermont Timber Works teammates live in Vermont and it is with a strong team effort that every timber frame is created. This is all to say that our business is influenced by our location. There are Vermont values that are also Vermont Timber Works values, and when you work with our business, you can count on our commitment to these values. If you ever have the pleasure of visiting our beautiful state, you’re bound to encounter people who love the outdoors. The state is aptly known as the Green Mountain State because it is a mountainous region. It is also home to Lake Champlain, the 6th largest body of fresh water in the United States, and it is home to many rivers, lakes, and ponds. 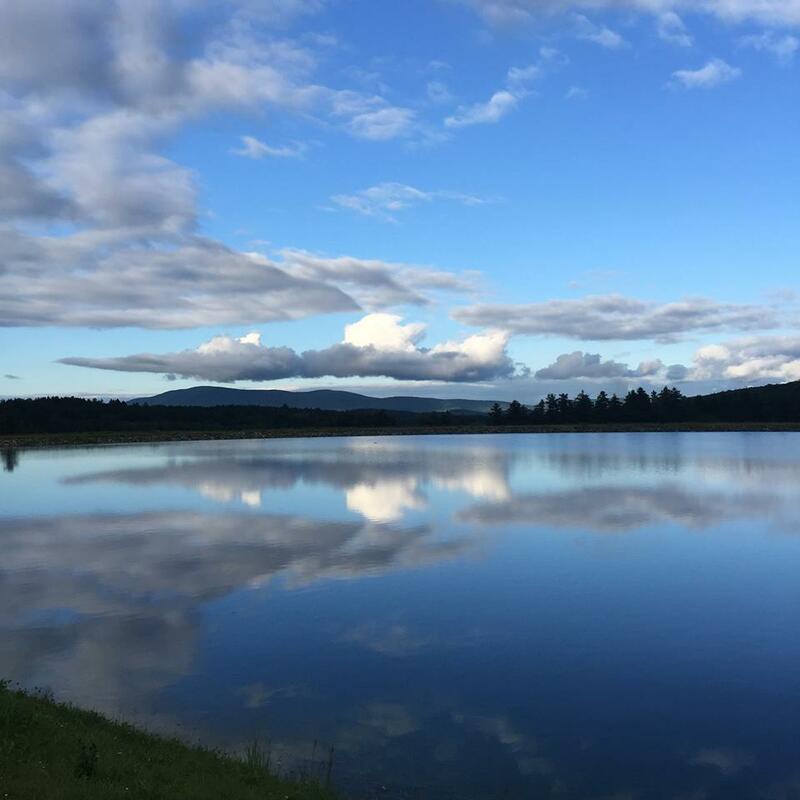 Vermont’s geography equips people with all sorts of possibilities for outdoor play and outdoor work, which results in an appreciation for nature. It is with this appreciation that we conduct our business. 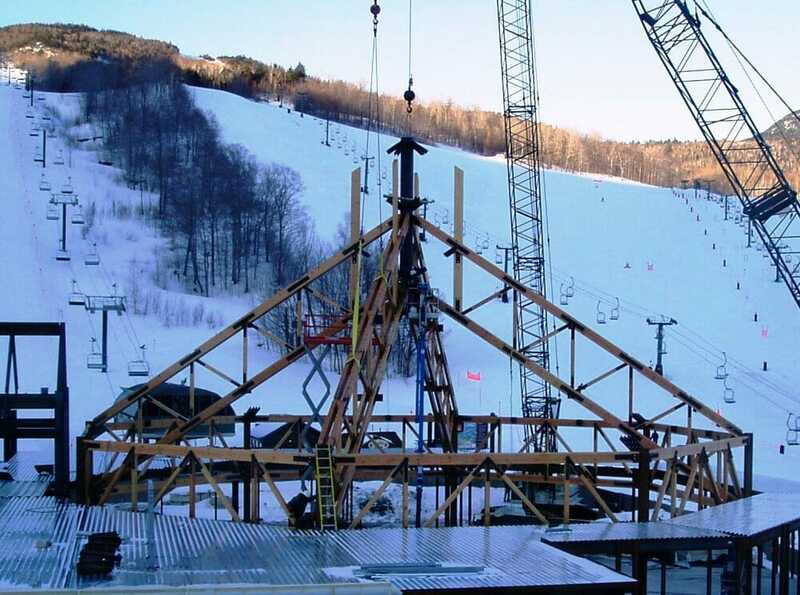 THE FIRST WAY Vermont Timber Works values the environment is through the use of our solar field as an energy source. Behind the Vermont Timber Works office & shop, there is a field that is the home to our solar array, which consists of four rows of panels with 48 panels in each row. Sun shines on the panels and is converted into AC power, which is used in our shop & office. Sometimes the panels produce more energy than our business can use and that energy is donated to other Vermont businesses & charities that we feel it’s important to support. 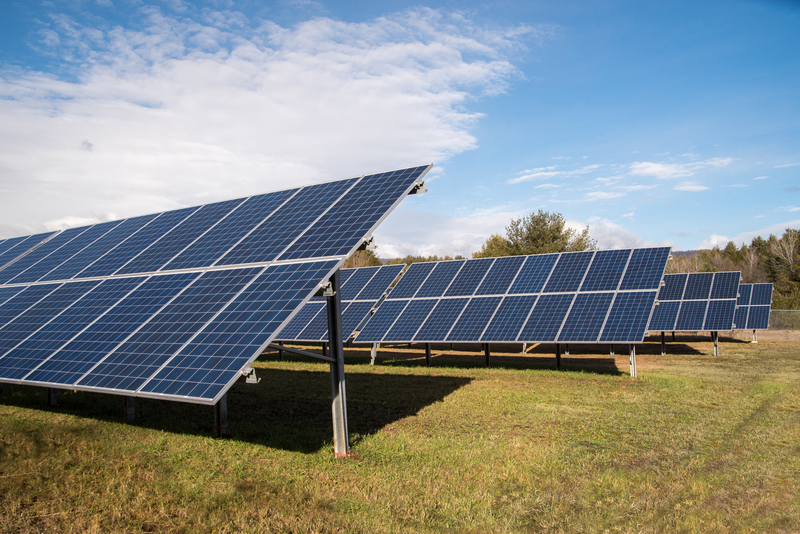 In a typical year, our solar field offsets 50 tons of C02 emissions. THE SECOND WAY Vermont Timber Works values the environment is by providing a sustainable product. Our frames are built with timber and engineered to stand strong for long periods of time and through extreme weather conditions. A second thing you may notice if you visit our state is that there is an abundance of handcrafted goods. Vermont is a state filled with artists who hand-make what they sell, from furniture to clothing, to food. In a country store, for example, you’ll find items that an individual worked carefully to create for you to purchase. When you buy from a Vermont artist, you can see the details of that person’s work, and the result is a quality item that is special for you. Vermont Timber Works is a business of craftspeople. All of our timber frames are cut by hand and are built with traditional joints. Because the timber is hand-cut, our design team is able to engineer complicated joinery that the people in our shop are capable of cutting. Furthermore, the aesthetics of the frame can be completely customized. The timber for any frame or truss can have detail work added to it (such as chamfering) and to have any preferred texture (e.g. hand-hewn or planed-smooth). Vermont is a small state with a small population, where people live & work in small towns. Kids graduate from classes with just a few hundred students, and similarly, town halls are conducted with hundreds of people. There are also many small businesses in Vermont. It is in these small groups that Vermonters accomplish whatever tasks they set their minds to. Interested in building a Timber Frame? Contact us at sales@vermonttimberworks.com. Have a question? Submit your question on our Ask the Experts page. Want to sign up for our monthly Newsletter? You can sign up here.